Pallet stretch films have really evolved in the last decade, why? The answer is simple -- the range of Polymers available to manufacture film is much wider than it was a few years ago. The science that gives us the ability to manipulate individual atoms and molecules, giving us new materials. Today we use 33 layers of stretch film instead of 9 that we used at the beginning of the 21st century. Stretch film is used to wrap things and is made of Linear low density polyethylene (LLDPE). By using stretch film you reduce products loss, discourage load tampering and prevent worker injury. There are a variety of widths, thicknesses, and types of stretch film. Let's look at the difference in the manufacturing process. They are several stretch film manufacturers in Malaysia and it’s easy to find the one that is good for your products. All stretch film starts with some polymeric feed stock. The majority of films include multiple layers, which include different resins and additives. Some of the additives used are: pigment (for security), tackifier (so the film can stick to itself) and UV resistance (to prevent deterioration if the products are stored outside). The extrusion process requires the heating and compression of resin for the needed viscosity, which creates a continuous layer of plastic. Films are blown or cast. Also called blown film, it is made using the blown extrusion process. The thick layer of extruded film, form a thin walled tube and a large bubble of air is blown inside. Blown film is tougher and more resilient than cast film and it allows a greater load holding power. Today, approximately 20 to 30% of stretch film is blown. - Allow loads to stay better secured because it has a higher degree of memory once stretched. - Higher Tear resistance, securing loads with sharp edges. The cast stretch film is also known as cast stretch wrap, and is manufactured using a different process -- the cast extrusion process. In a cast extrusion process, a thermoplastic material is melted and extruded through a flat onto a chill roll, where it is quenched and re-solidified. 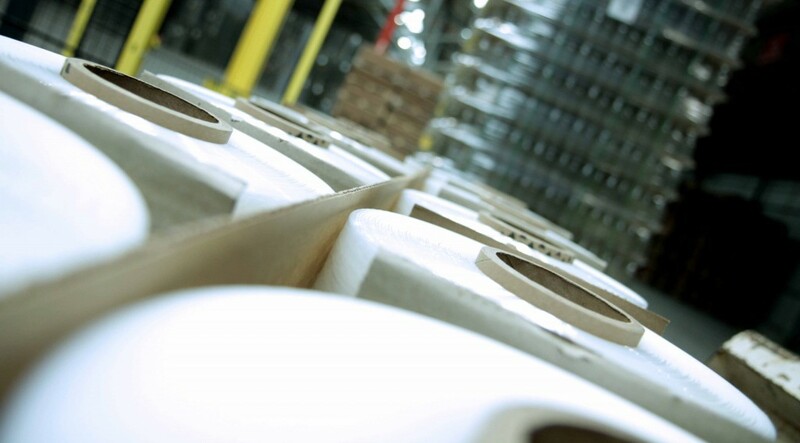 Today, 70 to 80% of stretch wrap is manufactured using a cast extrusion process. - Less expensive than blown film, mainly because of lower manufacturing costs. - Excellent clarity, allowing users to see the wrapped products. - Unwinds quietly from pallet wrapping machines. - Can be used by wrapping machines and hand grade. - Less force to stretch. Take note that both have a wide variety of applications and you should consult your local film experts to know which one is better for your requirements. Both will save you money and secure your products. For example, blown stretch wrap is very resistant to puncture, so if you are wrapping sharp products or construction products, this could be the one for you. Plus it has higher levels of cling. Cast film offers more clarity, and is cheaper, so if your products are not heavy and likely to puncture, this could be for you. Finally, the best way to know which one to buy is to ask your technical sales representative to determine the right containment force for your load. This way you will know exactly the amount of high performance stretch film required to properly wrap each load.